The Auckland Unitary Plan has finally been through the long submissions and hearings process, notwithstanding any judicial review or appeal. CTA was involved right from the initial call for feedback to appearing at various hearings, and we also provided assistance to several individuals and a number of community groups. 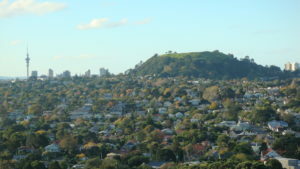 The Board is not convinced the plan has met Auckland Council’s stated objective ensuring that “Auckland can meet its economic and housing needs and help its centres meet their real potential, while protecting and enhancing what Aucklanders treasure most.” Although it is pleasing to see the retention of many of the special character overlays, some communities have expressed disappointment and concern about outcomes for their areas as regards such issues as height limits, and protection for volcanic cones and viewshafts. CTA is particularly concerned about the rejection of the pre-1944 demolition control, the substitution of the words “special character” for “historic character” throughout the plan, and the rezoning of certain parts of the city that have high amenity value, to allow for intensification. It is expected that there will be something of a testing period as the new plan is progressively implemented. CTA encourages developers to proceed with respect for the built and natural heritage of Auckland City.